I bought my wife a new tv for her recent graduation. She got her Bachelor’s degree in Business Administration. I’m really proud of her. I want her to become a purchasing professional. Unfortunately, she doesn’t, but I won’t tell anyone if you don’t. Anyways, when I was a kid, all you needed was an antenna for this TV to get some reception. And some aluminum foil. And a wire coat hanger. And a martyr to hold the antenna for maximum clarity while you watched. Nowadays, all of that is woefully insufficient. We needed to get our dish service connected to this TV, which of course requires appointments…. and costs. There were two appointments needed. One to change out our satellite dish (we were changing our channel package), and the other was to connect the new TV to the dish service. From a purchasing perspective, it really bothered me that two appointments were needed. I asked the first technician if he was qualified and authorized to do both jobs, and he said “yes”. I asked him “well then, why don’t you save your company some money and do both jobs right now then?” He looked at me like I was a box of rocks and said “we don’t do it that way”. Anyways, the technician visits were $150/each. The satellite upgrade was $125. I also needed another remote, that was $20. Are you keeping track? That’s $445 so far. And then the upgrade in channels was an extra $20 a month. It was part of the graduation gift to my wife – the gift that keeps on giving (ask me in 6 months if I’m still getting credit for that though, LOL). So we have $445 in fixed costs and $20/month in variable costs. Do you know how much I paid? Nothing. I got all the fixed costs waived, one by one, and I got the first 6 months of the variable costs waived. The only thing I agreed to pay extra was for four months of maintenance services, for a grand total of $28. That was my “big” concession. Why would they care about $28? Because it is an annuity, and many people just forget to cancel it. That’s not the reason I got the discounts though. The actual reason is really simple: because I “just asked” for it. I went through each cost line item and asked them to waive the costs, with an intonation that indicated that I fully expected them to do so. I used a technique that sales people use, called a presumptive close. I assumed they would do it when I asked. And they did! 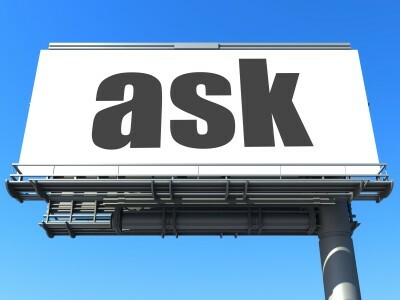 The “just ask” strategy is not new, but it does help to increase the TCO proposition. Years ago when I was a purchasing executive for Intel, I told my staff of purchasing managers that I wanted the transaction order placement personnel to start asking for extra discounts when they were placing purchase orders with suppliers. The response was “we’ve already spent all this energy using benchmarking and cost models and bidding to get suppliers down to their rock bottom position. An administrative personnel with no negotiations experience is not going to get it lower. My perspective was, if the supplier is already going to be on the phone anyways validating order information, what’s the damage in asking for an extra discount while we’re already talking to them? Guess what happened? It worked! Close to 50% of suppliers threw the transaction placement person a bone in the form of a slightly larger discount or an early payment discount, or they waived some fee they were going to charge. Was it because the order placer used advanced negotiation techniques? No! It was because they “just asked”. I started tracking this as an indicator and it turned into a great cost savings deliverable for the department. By the way, I drive a pretty nice jet black convertible 911 Porsche that has a lot of upgrades. It’s my baby, and it’s also a head turner. The check engine light went on recently, and that is never a good with a Porsche. The bill was for $11,000 because the entire engine needed to come out to fix the problem. I got it down to $7,000. The reason? I just asked, but I did it in detail, on every single line item of labor and parts. I presumed that I had the right to do this, and I didn’t care that nobody else exercises this right. I also presumed I’d get the discount, and I did! Mind you, “just ask” is NOT a replacement for benchmarking, cost modeling, bidding, and negotiation strategy development. It IS a tool in your arsenal to improve TCO, usually in a matter of seconds. In the world of low hanging fruit, this is watermelon. Come back and tell me about your successes with this, I’d love to hear your stories.